Gold dipped down to $1274.40 in early Asian trade before it popped back to $1280.75 in London and then drifted back lower by late morning in New York, but it then bounced back higher in early afternoon action and ended with a loss of just 0.33%. Silver slipped to as low as $19.333 and ended with a loss of 0.56%. 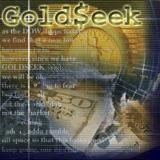 Euro gold remained at about 967, platinum lost $5 to $1413, and copper climbed a couple of cents to about $3.22. Gold and silver equities fell about 1.5% by late morning and remained near that level for the rest of the day. Is This A Gold And Silver Bear Market Or A Correction In A Secular Uptrend?